This is our effort to bring more women into the AAC community and bring attention to the need to support women in climbing. These shirts, with art by AAC member Brooklyn Bell, are designed to mean more. 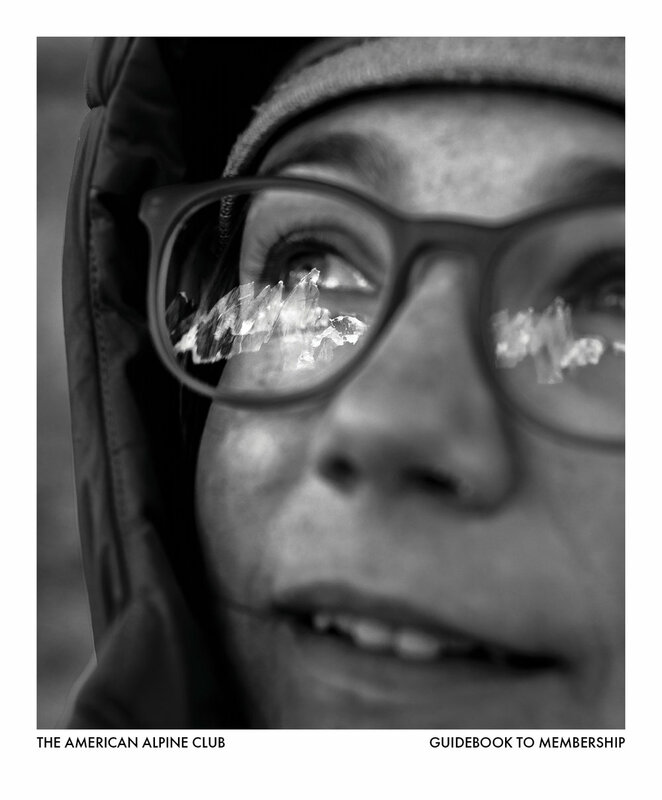 What does #climblikeagirl mean to you? Wear your shirt proudly, snap a photo, use the hashtag, let us know. Then go crush it out there. Use PROMOCODE: CLIMBLIKEAGIRLSHIRT when you Join or Renew from Sept. 14th to Oct. 15th and receive a free #climblikeagirl tank or Tee! As a Member Federation to the UIAA, the American Alpine Club is responsible for selecting the 2019 USA World Cup Ice Climbing Team. Athletes interested in competing in any of the Ice Climbing World Cup & World Championship events must complete the google form application by 11:59pm MST on September 25, 2018. The American Alpine Club will make their selections and athletes will be notified by October 5. Register Now For All Craggin' Classics! Registration is now open for all seven of our Craggin' Classic events this fall! 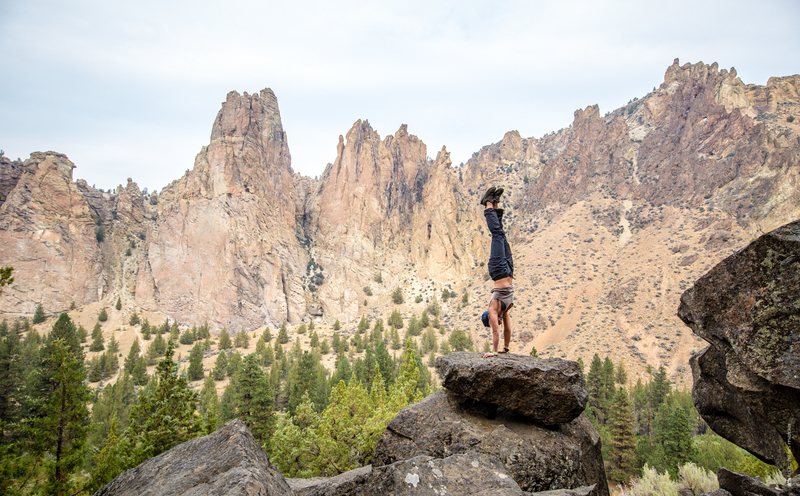 Come join us at Smith Rock, the New River Gorge, Rumney, Devil's Lake, Shelf Road, Moab, and/or Bishop for a weekend of clinics, parties, music, local crag stewardship projects, and high-fives a'plenty. This past summer we helped launch a survey to better understand the results of sexual harassment and sexual assault (SHSA) in climbing. Over 5,000 climbers took the survey around the world and the results are staggering. The survey also asked about more specific behaviors: have respondents experienced specific types of SHSA (e.g., unwanted touching, forced kissing, etc.). These more detailed questions revealed that 47% of women and 16% of men have experienced interactions that could be classified as SHSA while engaged in a climbing activity, even if they do not report it as such. 50% of US women and 15% of US men reported experiencing behavior that that could be classified as SHSA while engaged in a climbing activity, even if they do not report it as such. At the American Alpine Club, we know safety means more than a good belay. We strive to maintain a safe and non-hostile work environment for our employees, volunteers, and all participants at AAC events. We also acknowledge that our role as a leader within the climbing community extends our responsibility to promote a safe and harassment-free environment among the entire climbing community. AAC members and volunteer leaders are expected to serve as role models in the community. American Alpine Club will appropriately screen all staff and volunteer leaders prior to granting leadership positions. Reports of discriminatory and inappropriate behavior will be dealt with swiftly, seriously, and judiciously. Violations of our harassment and assault policy will include discipline up to and including termination of membership or employment at the AAC. Hear what your Board President Deanne Buck and CEO Phil Powers have to say in an op-ed to Alpinist. Learn more about what the data is telling us. and how climbing and outdoor communities around the world are doing to collect data, drive conversation, share best practices, provide press coverage and address the issues. 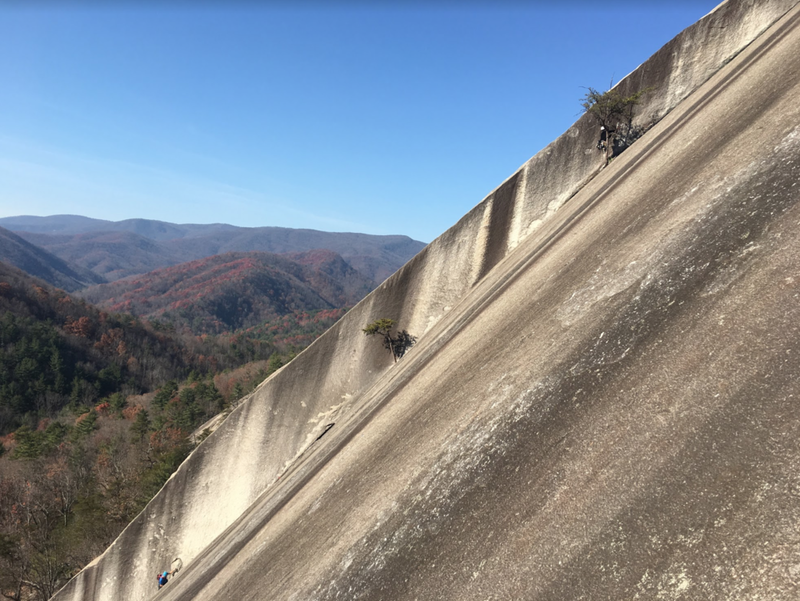 Photo by AAC member Brian Payst of LWCF-funded climbing area Stone Mountain. “Climbers have already reaped the rewards of the visionaries who established the LWCF and we’re set to see further gains in the future, but we won’t be able to unless it is reauthorized,” Payst writes. Action alert! The Land and Water Conservation Fund (LWCF) provides funding dedicated to the protection of national treasures, and has been used to purchase and improve some of our most beloved crags. Without timely action from Congress, this extremely important bipartisan program will expire September 30th. Learn more, then take action! AAC has joined forces with Cotopaxi and Utah-based artist Samantha Zim to create limited edition packs! The packs feature side panels with custom art inspired by the Utah desert. The Cotopaxi Luzon Del Día also features a top drawstring closure, front zippered pocket, ultralight mesh shoulder straps, large main compartment, internal hydration sleeve, and lightweight ripstop nylon shell fabric. The pack is available in two colors: blue & purple. Proceeds from the sales of these packs will support AAC's Policy & Conservation Program. We only created 600 of these; get yours before they're gone! The 2018 Guidebook to Membership is Here! The 2018 Guidebook to Membership is here! The Guidebook is our Club’s collective yearbook. This year’s issue, “the changing faces of the AAC”, features stories and photos by some incredible changemakers in our community as well as information about AAC programs and opportunities. We hope you find it inspiring and informative! If you’ve opted to receive our print publications, you should see it in your mailbox any day now. You can also view the Guidebook online. Cover photo by Austin Siadak. 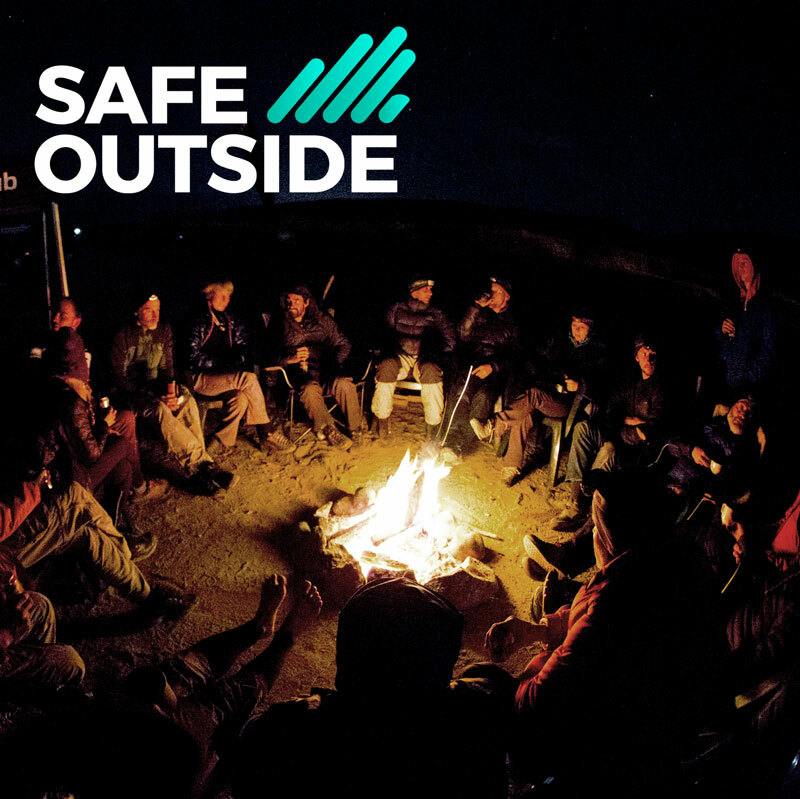 Join us at Outdoor Retailer! Check out our event line-up for the Outdoor Retailer! We hope to see you there. "When I took the helm at the AAC in 2005, we looked inward and asked: who do we represent? Who do we want to be in the future? The answer came back consistently: we want to be the Club for all climbers," writes Phil Powers, AAC CEO. The AAC is pleased to announce that UIAA World Cup Ice Climbing is coming to Denver, Colorado February 23–24, 2019. The new North American tour stop will serve as the 2018 / 2019 World Cup Ice Climbing Finals in which over 200 athletes from 26 countries around the world will compete for the overall World Cup in both Lead and Speed categories. "Yosemite Valley (Ahwahnee in the language of the Ahwahnechee, who originally inhabited the area) has long been a bastion for American climbing, from the first ascent of the NW Face of Half Dome (Tissaack) to the first free solo of El Cap (Tutocanula). The AAC has been there nearly every step of the complicated (and sometimes dark) way—from guiding the establishment of the park to fighting for climbing as a legitimate use of wilderness in National Parks and advocating for the preservation and 2018 improvements to Camp 4, the iconic climbers' campground." ...We've worked with NativesOutdoors to put together this resource for all things Yosemite climbing and history. Check it out! Join or Renew for a Free Honn Solo T-shirt! Join or renew your AAC membership this month for this sweet t-shirt! Yosemite Valley (Ahwahnee in the language of the Ahwahnechee, who originally inhabited the area) has long been a bastion for American climbing: from the first ascent of the NW Face of Half Dome (Tissaack) to the first free solo of El Cap (Tutocanula). We've been there nearly every step of the complicated (and at times dark) way—from guiding the establishment of the park, to fighting for climbing as a legitimate use of wilderness in National Parks and advocating for the preservation and 2018 improvements to Camp 4, the iconic climbers' campground. Help the Club continue its efforts in Yosemite and across the country by using PROMOCODE: HONNSOLOSHIRT when you join or renew in June and receive a free “Honn Solo” t-shirt with illustration by Lynn Mandziuk. Our friend Brady Robinson is stepping down from his role as Executive Director of the Access Fund to pursue global conservation work. It’s been a pleasure working with you, Brady! A chance to support the American Alpine Club Library and American Mountaineering Museum while scoring great deals on gear, art, dream trips & more?! It’s not too good to be true. Our online auction is now open! Check out the goodies and bid now. Auction closes June 2nd at 8:30pm MST. The AAC and The North Face are proud to announce the recipients of the 2018 Live Your Dream grant. In total, $72,150 was awarded to 158 individuals from across the nation, making 2018 the most successful year in the history of the Live Your Dream grant program. Roughly one out of every three applicants received an award. See the complete listing of grant recipients and their trips. Climbers with the American Alpine Club, Access Fund and partner organizations just completed an impressive third ascent of Capitol Hill. On May 10th, an elite team of professional climbers, outdoor industry leaders, and grassroots partners charged the Hill to advocate for outdoor recreation and improved climbing management, with a specific focus on the Antiquities Act, the Land Water Conservation Fund and the Recreation Not Red-Tape Act. Climb the Hill meetings helped move the needle on several policy issues and inspired congressional office to take action. Learn more about what we accomplished in the recap!